The vast field of Salisbury Plain in Wiltshire, southern England, is a stretch of verdant land steeped in history. It's here where the ancient neolithic site of Stonehenge sits, an inscrutable pile of rocks wrapped in mystery. And it's here, or at least in the town of Warminster, where some of the U.K.'s most impassioned UFO watchers gather atop nearby Cradle Hill in the belief that they can signal extraterrestrial spaceships. In the 60s and 70s, local journalist Arthur Shuttlewood popularized The Warminster Mystery, leading to hundreds, perhaps thousands of independent claims of UFO sightings all coming from this small town. 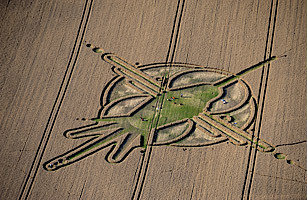 It's clearly led to many hoaxes, including the recent drawing of elaborate geometric crop circles in fields surrounding the old town. 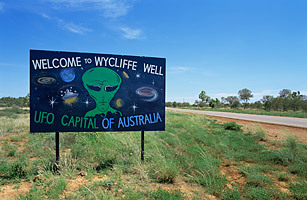 You really don't want to go to Wycliffe Well in Australia's Northern Territory and not see a UFO: "Sightings are so common," the website of the Wycliffe Well Holiday Park states, "that if you stayed up all night looking you would be considered unlucky not to see anything." Supposedly, earthlings have been witnessing UFOs in this part of the Outback since World War II. But hey, if you turn out to be one of those "unlucky" sightseers, at least you get to lay eyes on Elvis! (In statue form). And wouldn't you know? This very same place apparently has a vast beer selection. There's something special about Bonnybridge, Scotland. Since 1992, the small town has been the sight of an unusually high number of UFO sightings. 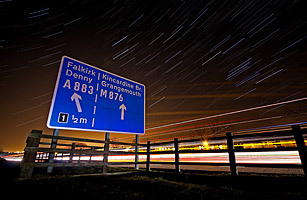 In fact, Bonnybridge lies in what UFO believers call "The Falkirk Triangle," an area of land between the cities Stirling, Fife and the outer neighborhoods of Edinburgh where people routinely report unidentified objects sailing through the sky. The Scottish government says it receives over 300 UFO sightings from Bonnybridge and surrounding areas every year. Bonnybridge's first UFO sighting occurred in 1992, when a man named James Walker reported seeing a star-shaped object hovering above a road. 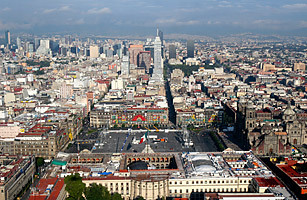 Other sightings followed and in 1993, the local government held a meeting about the trend. 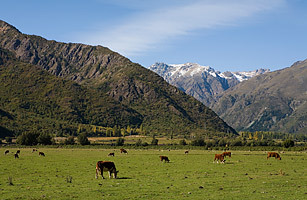 They never came to a conclusion, although alcohol was considered as a possible cause of many of the sightings. UFO reports have continued over the years, leading some people to believe they might be real. "How do we know aliens aren't walking about?" Bonnybridge Councillor Billy Buchanan told The Scotsman newspaper in 2005. "I have no doubt that Bonnybridge is part of something exciting." In January 2008, dozens of people reported something funny hovering in the night sky. 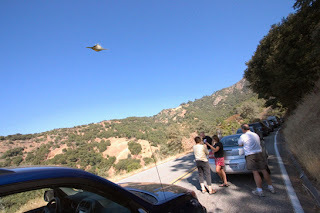 It was described in many ways — some described it as a mile-wide, silent object that flew low to the ground. Some said it moved incredibly fast. A local newspaper reporter said it had very intense, bright lights. The story later made it onto CNN's Larry King Live, which did an entire hour on the sighting. So was it life from another planet? Not so, said the U.S. Air Force a couple weeks later, explaining that ten Air Force Reserve F-16 fighter jets were the cause of the lights seen over the central Texas town. 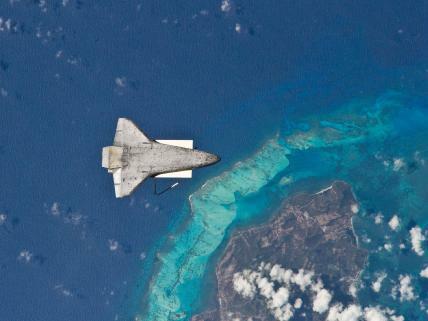 But it's doubtful the Air Force's explanation sufficed for those who witnessed the object. Sightings in or near the town of Elk River, Minnesota, have made the area a UFO hot-spot, especially famous sightings and encounters in the 1990's. UFOs were often seen moving low to the ground or hovering, either silently or with a low humming sound. Strange shapes sighted have included cigar, wing, or v-shaped craft, regular old saucers, and even jellyfish shaped UFOs (as seen above). Located about 600 miles east of Moscow, the M-Triangle might be the best place in all of Russia to see a UFO. Residents of this remote mountainous region count mysterious happenings as part of their daily life: strange lights, unidentified flying machines, encounters with translucent beings, and weird symbols and letters written across the sky. There are even reports that people who visit the M-Triangle develop super-human powers, which may be why the place is under constant surveillance by Russia's intelligence agencies. 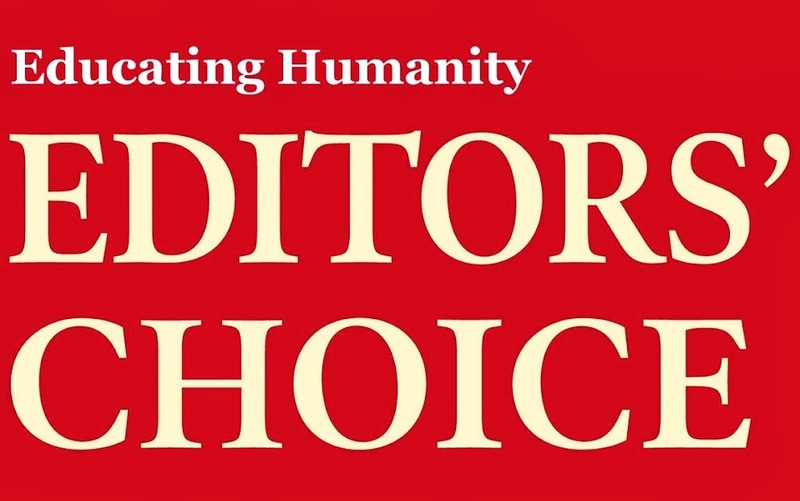 To read the the full story and watch a short video click here. The image with this story is a carved monument in honor of the aliens visiting the region, the first of its kind. The Colares flap refers to an outbreak of UFO sightings that occurred in 1977 on the Brazilian Island of Corales. During the outbreak, the UFOs attack left two dead and injured over 100. 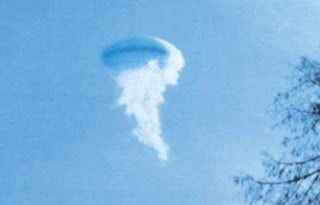 These sightings led to the Brazilian government dispatching a team to investigate under the codename Operation Saucer (Portuguese: Operação Prato), but the government later recalled the team and classified the files until the late 1990s. To this day the island of Corales is still seeing UFOs. The string of sightings around Dyfed, Wales in 1977 had a little bit of everything: UFO sightings, glowing balls of light chasing cars, and aliens looking in people's windows. 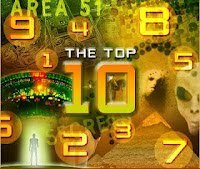 Best of all: a UFO that liked to hover over a schoolhouse; TVs, radios, and cars that stopped working for no reason; and even the teleportation of a large number of cattle from one place to another. Wales is consistently rated as one of the best places on the planet to see UFOs.